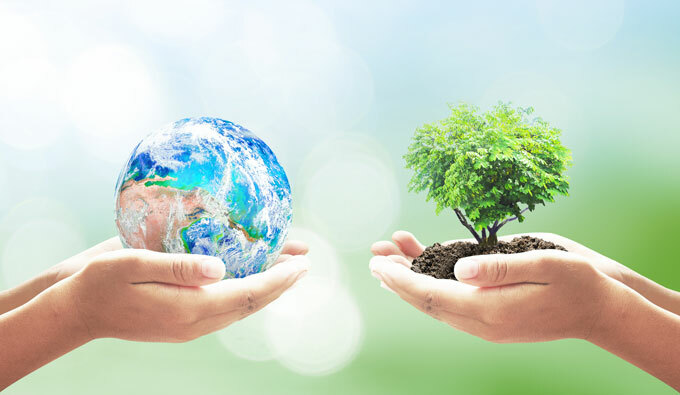 After nearly half century, Earth Day (this Sunday)—celebrated by more than 192 countries—is considered the world’s largest secular holiday. In related news: the USDA says urban America is losing 36 million trees a year; and the New York Times features the importance of intact forest landscapes in the Amazon. In Wood Product news: a manufacturing glitch is blamed for the CLT panel failure in Oregon; a six-storey wood frame construction fire burns in Saskatchewan; and the University of Northern BC is recognized for heating its building with wood pellets. Finally, Penn State forestry and nursing students team up for a real-world forest trauma exercise. A lot more wood is about to pass through Prince Rupert — as pellets. 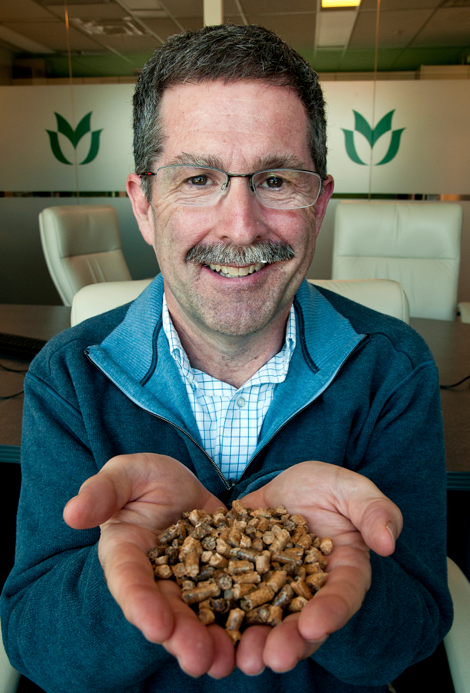 On Friday, the company that owns Westview pellet terminal, Pinnacle Renewable Energy Group, announced they have finalised a contract to sell 70,000 metric tonnes of wood pellets annually to a Japanese conglomerate, Ube Industries Ltd., by the end of 2019. “Japan has made a strong commitment to decarbonization, and biomass is posed to become an increasingly important part of the country’s energy mix,” said Robert McCurdy, Pinnacle’s CEO. The long-term take-or-pay contract guarantees Pinnacle Renewable Energy Group will receive payment for its pellets — even if future demand decreases in Japan. VICTORIA – A forestry roundtable convened to deal with the crisis caused by U.S. tariffs on five Canadian paper mills has resolved to protect affected communities and recruit the federal government to fight back. “President Trump’s tariffs on paper mills are grossly unfair and may cause several mill closures,” said Scott Doherty, Executive Assistant to the Unifor National President, who was at the meeting. …Attended by Premier John Horgan, Unifor and industry representatives, area mayors, and the Public and Private Workers of Canada, the roundtable discussed strategies for assisting workers, their community, and the industry during legal challenges later this year. White River Forest Products is making more than $9.5 million in upgrades and creating new jobs at its sawmill near the north shore of Lake Superior. The money is geared toward new product development which requires additional debarking and drying capacity, and sawline modifications, including residual handling. The province contributed $1.9 million through its Jobs and Prosperity Fund but the bulk of the investment is coming from White River Forest Products. “We’re happy to be one of the first company to receive monies from this fund,” said company president-CEO Frank Dottori in an April 19 news release. A week after learning Corner Brook Pulp and Paper was cutting its ties with his company, Milton Elliott says he is just starting to sleep again. The pain of the decision and anxiety over Arthur Fowlow Ltd. employees’ futures has not lessened for the South Brook-based company’s office manager however. Corner Brook Pulp and Paper cut ties with Arthur Fowlow Ltd. on April 10. The business relationship dates back to 1974 when Corner Brook Pulp and Paper was its predecessor, Bowater Newfoundland. …Elliott said …It was suspected there would be some quota reductions throughout the industry, but he expected it to be evenly distributed among all logging contractors. …Corner Brook Pulp and Paper says the decision will improve the competitiveness and efficiency of its woodland operations. The strategic initiative reduces its wood procurement costs, which it reports as the highest in North America. Following is a quick summary and analysis of federal forest management provisions in the Forestry Title of H.R. 2, the Agriculture and Nutrition Act of 2018. The bill was introduced by Republican members of the House Agriculture Committee on April 12 and was approved, without forestry amendments, by the Committee in a party-line vote on April 18. Since 2015, House Republicans have been promoting highly controversial legislation, sponsored by Congressman Westerman of Arkansas, called the “Resilient Federal Forests Act”. Many conservationists and others have strongly opposed the Westerman bill because it would undermine bedrock environmental laws and take away opportunities for public involvement. DOVER-FOXCROFT — The Maine Technology Institute (MTI) recently awarded a $4,226,000 challenge grant from the Maine Technology Asset Fund 2.0 program to the Pleasant River Lumber Company. The $4.2 million will be used toward a $12 million expansion at Pleasant River Lumber’s mill on the Milo Road and a larger $20 million initiative between the Dover-Foxcroft location and the company’s Moose River Mill in Jackman. …“Basically we are going to add 50 percent to our operating capacity in Dover,” Pleasant River Lumber Co-President Jason Brochu said. He said this expansion will lead to the creation of about 70 more jobs at the facility, a sharp increase of over 75 percent from the current figure of around 90 employees. …Pleasant River Lumber Company officials say the combined production of the two mills will grow from 180,000,000 Mbf to 300,000,000 Mbf — a 60 percent increase. Massive flames, billowing smoke and even multiple explosions could be seen at a hotel under construction on Wednesday morning. …“The fire started on the upper floors, the upper half of the building, on what we would consider the west-side of the tower portion of the structure,” Saskatoon Fire Department assistant chief Wayne Rodger said. …This is a unique site in Saskatoon, as it’s one of the first six-storey wood frame structures since changes to the National Building Code of Canada in 2015. “The 2015 codes introduced new requirements to allow for six-storey wood frame construction; with that included provisions as well in the fire code with respect to fire safety at construction sites,” Kara Fagnou, director of building standards for the City of Saskatoon, said. Fresh off of its recognition as one of Canada’s Top 100 Employers, UNBC has been named one of Canada’s greenest employers by Mediacorp Canada. …This year marks the seventh consecutive year that UNBC has been recognized by the award. …”The ethos of sustainability permeates our campuses as our passionate faculty, students and staff collaborate every day to discover green solutions and explore environmentally friendly opportunities,” said UNBC President Daniel Weeks in a media statement. …The university was recognized specifically for its LEED Platinum certified bioenergy plant, which heats most buildings on the Prince George campus through the use of wood pellets. 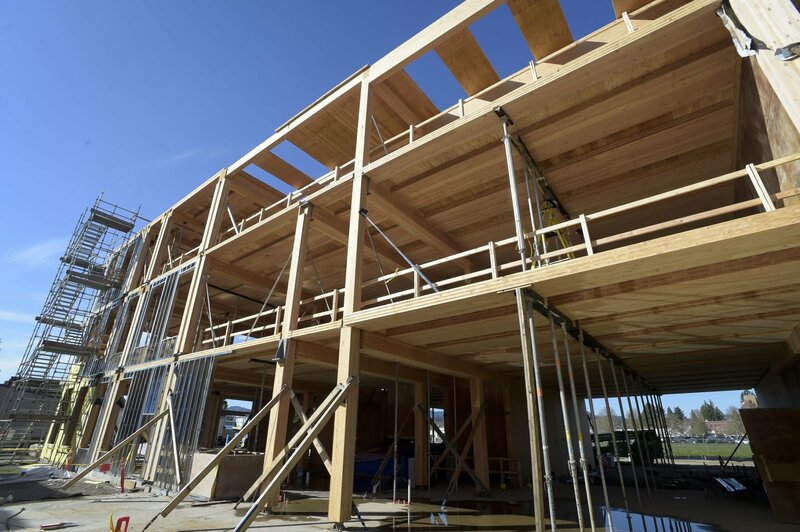 Oregon State University is pointing to a manufacturing glitch as the culprit in the failure of a cross-laminated timber panel in a campus construction project last month but says the problem has been fixed and installation of CLT panels will resume in the next few weeks. A 4-foot-by-20-foot section of subflooring gave way and fell … when the CLT panel reportedly delaminated at one end. …On Thursday, the university announced that an evaluation of the manufacturing process showed the DR Johnson plant in Riddle had used preheated wood in assembling some of the panels for the project. That resulted in premature curing of the adhesive and poor bonding between the layers, ultimately causing one panel to fail. …An American Plywood Association statement issued last week said the problem was introduced by a process change and that DR Johnson has now corrected the issue and implemented additional quality controls. When the Japanese architect Shigeru Ban was named recipient of the 2014 Pritzker Prize, the jury praised his experimental approach and his humanitarian designs. … Four years on and Ban is once again at the vanguard of architectural design, this time with a new residential tower in the upmarket Vancouver neighbourhood of Coal Harbour. Terrace House is billed as the world’s tallest hybrid timber structure, having received building approval to deliver 20 residences (priced from $CA3 million, or about $3.06 million) in a striking 19-storey building. …As impressive as the concrete base of Ban’s design appears, it is the upper levels that are earning Terrace House a place in the record books. The top seven storeys will use exposed mass timber structural beams and columns with composite timber and concrete floors connected to a concrete core. A B.C. Supreme Court judge will soon decide whether to grant an injunction against the protest at Collison Point / St’alaa Kun. Husby Forest Products filed for the injunction on April 11, noting that its work at Collison is legal, and that the now five-week blockade has caused layoffs, costs, and could soon lead to spoiled seedlings if its treeplanting contractor is unable to work. Husby also told the court some of the protestors have brandished guns and hunting knives, and intimidated and engaged in threatening behaviour towards Husby staff and contractors. “Attempts at negotiating a resolution to the blockade, some of which have involved Husby, the Council of the Haida Nation and the provincial government have not been successful,” the company said in its notice of civil claim. A 48,000 hectare buffer around the City of Cranbrook will greatly reduce wildfire risk, but come with a hefty bill, however, there are opportunities for cost recovery, according to a report. Authored by Robert Gray and Geoff Byford, the report notes that the total cost of treating the identified area around the city is estimated at $28 million,adding that the volume and value of the merchantable wood in the study area is insufficient to cover the total project costs. That figure rises when it comes to carrying out prescribed burning operations in Crown Land within the study area, which is estimated in excess of $40 million. …“The volume and value of merchantable wood in the study area is insufficient to cover the cost of harvest operations, stumpage, biomass treatment and post-harvest hazardous rules treatment,” reads the report. The new 12-week Fundamentals of Forestry Program in Woss is officially up and running. “It ’s now operational – we have 12 students attending class in Woss,” said Manager of Economic Development Pat English at the Regional District of Mount Waddington’s April 17 Board of Directors meeting. …The Fundamental’s of Forestry program, which runs from April 16 to July 8, received 30 applications for the 12 available spots. “Based on the level of interests that we had – we are already planning for a second course to be held in the spring of 2019,” said English. TERRA NOVA NATIONAL PARK, NL – You can now virtually experience the beautiful scenery at Terra Nova National Park thanks to Google Street View. Google is celebrating Earth Day on April 22 this year by releasing seven all-new sets of imagery of Parks Canada’s places, one of them being Terra Nova National Park. It includes the park’s many trails such as Outport Trail, Coastal Trail, Goowiddy Path Trail and Ochre Hill Trail. Google Street View shows 360-degree panorama images of a location. Since 2013, 167 Parks Canada’s locations have been documented. It’s hoped the initiative will encourage more Canadians to visit their national parks and historical places. Scientists with the USDA Forest Service estimate that between 2009 and 2014, tree cover in the Nation’s urban/community areas declined by 0.7 percent, which translates to losing an estimated 36 million trees or approximately 175,000 acres of tree cover annually. Pavement and other impervious cover increased at a rate of about 167,000 acres a year during the same period, according to research by USDA Forest Service scientists. Nationally, urban/community tree cover declined from 42.9 percent to 42.2 percent. Twenty-three states had a statistically significant decrease in tree cover, with a total of 45 states showing a net decline. …The study by Dave Nowak and Eric Greenfield of the USDA Forest Service’s Northern Research Station, “Declining urban and community tree cover in the United States,” was published in the journal Urban Forestry and Urban Greening. The South Selkirk mountain caribou herd may be extinct after aerial surveys found only three remaining animals. “The Selkirk mountains are still going to be a big wild cool place but we have lost something, some piece of that system,” said Bart George, a wildlife biologist for the Kalispel Tribe. “They’re an animal that’s been there for 70,000 years. It’s a big deal.” Kalilspel Tribal biologists conducted two aerial surveys in March, finding only three female caribou. Last year there were about a dozen of the endangered animals. The three female caribou spotted were collared. Less than 10 years ago there were about 50 animals in the herd. In 2014, the new Farm Bill allowed the Forest Service and the Bureau of Land Management to work with states to do watershed restoration and other work on federal land, particularly in areas where the work is needed but the agencies don’t have the money to do it. The program is called Good Neighbor Authority. Washington and Idaho have embraced it. Peg Polichio is a facilitator for Good Neighbor Authority projects for the Idaho Department of Lands, “The states want to be involved with helping out on the federal lands in their particular states, maybe add some capacity, maybe have some qualities they can bring to the table as partners to help the federal government.” …The goal is that Good Neighbor Authority projects be self-sustaining. Dollars from timber sales are to be invested into new projects, especially those that wouldn’t be possible for years without a new infusion of money. 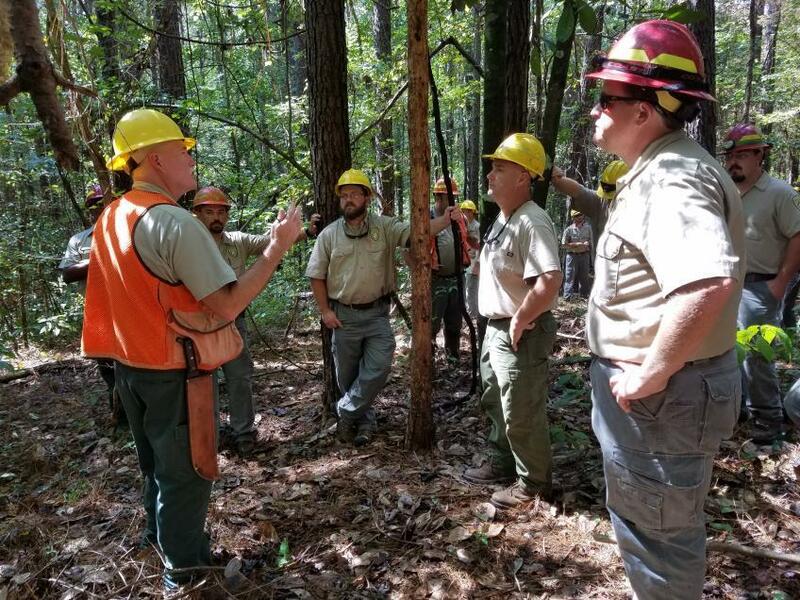 Opinions on forest management among the Democratic candidates for state House District 32 appear, in some ways, to be as different as two sides of a timber line. Clatsop County and local school districts haul in more than $20 million a year from timber harvests. The revenue has led to debates over how to balance the economic reliance on timber with environmental protection. While Tim Josi is generally supportive of modern timber harvesting practices, Tiffiny Mitchell and — to a lesser extent — John Orr have called for changes. Discussions at the state and county levels lately have revolved around a $1.4 billion lawsuit in which counties are suing the state, claiming the Department of Forestry has not held up its agreement to maximize timber harvests. The Montana Department of Natural Resources and Conservation this week named Sonya Germann as head of the agency’s Forestry Division, citing her decades-long experience in the field. Sue Clark, who served as acting administrator of the division for the past year, has been named deputy administrator. “Following a national search, I’m pleased to announce that Sonya will lead our largest division,” DNRC Director John Tubbs said in a statement. …A native of Ennis, Germann started with DNRC in 2004 as a part-time employee in the Forestry Division’s seedling nursery. 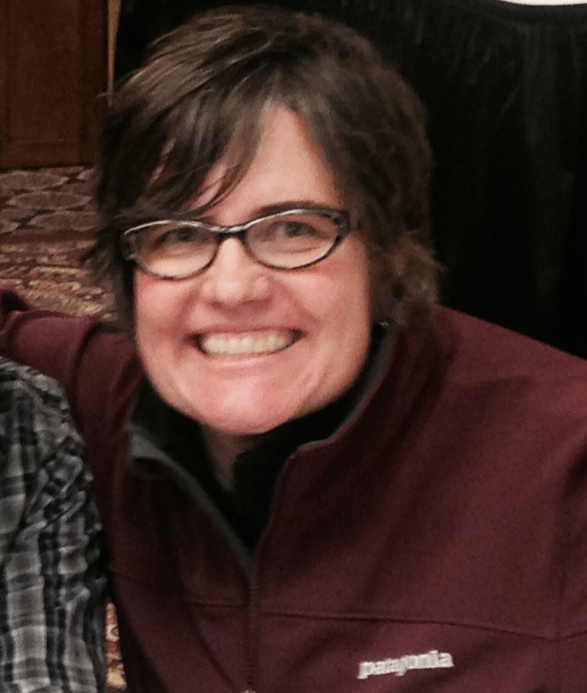 In 2007, she was hired full-time as a planner in the Trust Lands Division’s Forest Management Bureau. She was promoted to chief of that bureau in 2012. This unique restoration project has been successful. Will the state expand it? Like a Phoenix rising from the ashes, bobwhite quail are slowly returning to New Jersey. The birds, sometimes called a firebird because of their dependence on occasional fires to reset their grassland habitat, were once an iconic keystone species in the Pinelands. Their presence filled a key niche in the delicate ecosystem, and their abundant numbers meant good hunting for generations of New Jersey outdoorsmen. …A partnership between non-profit New Jersey Audubon, the state Division of Fish and Wildlife, and private landowners at Pine Island Cranberry, the quail restoration effort is proving to be one of the most successful conservation projects in New Jersey. …John Parke attributed the success of the project to the forestry work done by Pine Island Cranberry. Parke said that active forest management has created pristine habitat for the new quail to live in, providing the birds with food to eat and protection from predators. A “magic” mushroom mixture is being used in an innovative new plan to speed up revival of the ancient Caledonian Forest in the Scottish Highlands. Conservationists from Trees for Life aim to harness the power of local fungi to boost growth of native woodland at the charity’s Dundreggan estate in Glenmoriston, near Loch Ness. Experts will add a special mix of spores… into the soil when growing seedlings in Dundreggan’s tree nursery and planting saplings on the hills this spring. It’s hoped the move will improve growth, reduce the need for artificial fertilisers and help the young trees to better withstand tough growing conditions and attacks from pests. …But in severely deforested areas such as the Highlands, forests still containing healthy populations of these mushrooms are rare, small or fragmented – often separated by massive swathes of farmland and moorland. Sit on a log by the Madidi River in Bolivia at dusk and you can hear what an Amazon forest should sound like. …This is what scientists call an “intact forest landscape.” …Because of their size, these areas have maintained all their native plant and animal life and biophysical processes. …In the tropics, intact forests hold 40 percent of the aboveground forest carbon even though they make up only 20 of those latitudes’ forests. And intact forests have been shown recently to absorb enough carbon to offset many Amazon countries’ (like Peru) total emissions. When forests become fragmented, edge effects (forest damage at created edges), drying and fire cause over 150 million tons of annual emissions — more than result from outright deforestation. …How will we pay for a future with forest wilderness? Part of the answer lies in programs to avert climate change. Multiple safety concerns have been identified by B.C.’s Forest Practices Board on forestry roads and bridges in northwestern B.C., including unsafe river crossings and poor maintenance that caused a landslide. Director of audits Chris Mosher said the findings were “concerning” and the number of issues identified was unusual, though not unheard of, in the history of the board’s randomly selected audits of forest areas. The two-year audit focused on the Bulkley Timber Supply Area, which is managed by the government-run B.C. Timber Sales (BCTS). …Among the problems were six bridges with structural safety issues, poor culvert installation and road maintenance that “was not up to current standards.” …The audit also found companies operating in the region were not properly conducting fire hazard assessments after logging an area. …It might have appeared as though a forester suffered a serious injury in Michaux State Forest on Thursday, but the convincingly real situation was a training scenario for Penn State Mont Alto students and local emergency responders. …Twelve Penn State Mont Alto forestry students participated in the early stage of an emergency simulation Thursday. They provided first aid to not only the mannequin that was pinned under a fallen tree, but also to a student who — in a surprise coordinated with faculty — acted as though he fell and shattered his knee. Nursing students took over the patients’ care when they were removed from the woods… Craig Houghton, program coordinator for forest technology, said the idea of holding an annual training exercise developed a few years ago as the college prepared for a summer session in which students would be in the woods for hours at a time.